HuffPost (formerly The Huffington Post and sometimes abbreviated HuffPo)  is an American news and opinion website and blog, with localized and international editions. The magazine is edited from a liberal political perspective. It was founded in 2005 by Andrew Breitbart, Arianna Huffington, Kenneth Lerer and Jonah Peretti. The site offers news, satire, blogs, and original content and covers politics, business, entertainment, environment, technology, popular media, lifestyle, culture, comedy, healthy living, women's interests, and local news. A blog is a discussion or informational website published on the World Wide Web consisting of discrete, often informal diary-style text entries (posts). Posts are typically displayed in reverse chronological order, so that the most recent post appears first, at the top of the web page. Until 2009, blogs were usually the work of a single individual, occasionally of a small group, and often covered a single subject or topic. In the 2010s, "multi-author blogs" (MABs) emerged, featuring the writing of multiple authors and sometimes professionally edited. MABs from newspapers, other media outlets, universities, think tanks, advocacy groups, and similar institutions account for an increasing quantity of blog traffic. The rise of Twitter and other "microblogging" systems helps integrate MABs and single-author blogs into the news media. Blog can also be used as a verb, meaning to maintain or add content to a blog. The Drudge Report is a politically right-leaning news aggregator website. Run by Matt Drudge with the help of Charles Hurt, the site consists mainly of links to news stories from other outlets about politics, entertainment, and current events; it also has links to many columnists. Occasionally, Drudge authors news stories himself, based on tips. AOL is an American web portal and online service provider based in New York City. It is a brand marketed by Verizon Media. Quantcast is an American technology company, founded in 2006, that specializes in AI-driven real-time advertising, audience insights & measurement. The company claims that it has accurate audience measurement to over 100 million web destinations. It has offices in the United States, Canada, Australia, Singapore, United Kingdom, Ireland, France, Germany, Italy, and Sweden. Kenneth Lerer is an American businessman and media executive. He was the chairman and co-founder of The Huffington Post, an American news website acquired by Aol in 2011. Lerer is also a Managing Director of Lerer Hippeau Ventures, and Chairman of Betaworks and BuzzFeed. Lydia Frances Polgreen is a journalist, who is the editor-in-chief of HuffPost. She was previously the editorial director of NYT Global at The New York Times, and the West Africa bureau chief for the same publication, based in Dakar, Senegal, from 2005-2009. She won many awards, most recently the Livingston award in 2009. She also reported from India. She was then based in Johannesburg, South Africa where she was The New York Times Johannesburg Bureau Chief. In 2011, after its purchase by AOL, The Huffington Post subsumed many of AOL's Voices properties (including AOL Black Voices, which had originally independently established in 1995 as Blackvoices.com, and AOL Latino). The Voices brand was expanded in September 2011 with the launch of Gay Voices, a vertical dedicated to LGBT-relevant articles. Other established sections, such as Impact (launched in 2010 as a partnership between Huffington Post and Causecast),   Women, Teen, College, Religion, and the Spanish-language Voces (en español) are also sorted under the Voices meta-vertical. Weblogs, Inc. was a blog network that published content on a variety of subjects, including tech news, video games, automobiles and pop culture. At one point, the network had as many 90 blogs, although the vast majority of its traffic could be attributed to a smaller number of breakout titles, as was typical of most large-scale successful blog networks of the mid-2000s. Popular blogs included: Engadget, Autoblog, Tuaw, Joystiq, Luxist, Slashfood, Cinematical, TV Squad, Download Squad, Blogging Baby, Gadling, AdJab, and Blogging Stocks. Huffington Post Comedy 23/6 is a satirical news and opinion website developed by Barry Diller's IAC/InterActiveCorp and The Huffington Post, launched on November 9, 2007. Published by Arianna Huffington and edited by former Daily Show writer Jason Reich, the site features daily news coverage, original video, and a group blog known as "The Room." FiveThirtyEight, sometimes rendered as 538, is a website that focuses on opinion poll analysis, politics, economics and sports blogging. The website, which takes its name from the number of electors in the United States electoral college, was founded on March 7, 2008 as a polling aggregation website with a blog created by analyst Nate Silver. In August 2010, the blog became a licensed feature of The New York Times online. It was renamed FiveThirtyEight: Nate Silver's Political Calculus. In July 2013, ESPN announced that it would become the owner of the FiveThirtyEight brand and site and Silver was appointed as editor-in-chief. The ESPN-owned FiveThirtyEight began publication on March 17, 2014. The site was acquired by ABC News on April 17, 2018. In the ESPN/ABC News era, the FiveThirtyEight blog has covered a broad spectrum of subjects including politics, sports, science, economics and popular culture. Merinews is an English-language online newspaper in India built on the concept of citizen journalism. The website is owned by Bizsol Advisors Pvt. Ltd. and allows anyone to share news, opinion, analysis, reviews, photos and events. Merinews also has city based local print editions in metropolitan areas in India. Jimmy Maymann-Holler is a Danish entrepreneur specializing in digital advertising, digital technology and new media strategy. Emma Johnson is an American journalist, blogger, radio host, author, and media personality. She is best known for her blog Wealthysinglemommy. ↑ "Huffington Post company profile - Office locations, Competitors, Financials, Employees, Key People, News - Craft.co". craft.co. ↑ "huffingtonpost.com Traffic Statistics". Alexa Internet . Retrieved October 16, 2018. 1 2 "The Huffington Post Is Now HuffPost". The Huffington Post. April 25, 2017. Retrieved March 25, 2017. ↑ "Huffington Post Makes Huge, Biased Blunder With Trump Decision". The Odyssey Online. July 21, 2015. 1 2 Reisinger, Don. "Best political sites: Liberal, conservative, and nonpartisan". CNET. 1 2 3 "How Andrew Breitbart Helped Launch Huffington Post". Buzzfeed News. Buzzfeed. March 1, 2012. Archived from the original on September 1, 2018. Retrieved March 4, 2012. ↑ "How BuzzFeed CEO Jonah Peretti took an instant messaging bot and turned it into a $1.5 billion media empire". Business Insider. Retrieved August 21, 2017. ↑ Fishman, Rob (March 14, 2011). "The Huffington Post Media Group Makes Key Announcements". The Huffington Post. Retrieved April 2, 2011. 1 2 Pitney, Nico (February 7, 2011). "AOL Agrees to Acquire The Huffington Post". AOL . Retrieved February 7, 2011. ↑ Rooney, Ben (May 12, 2015). "Verizon buys AOL for $4.4 billion". CNN Money. Retrieved August 1, 2018. ↑ eBizMBA (July 6, 2012). "Top 15 Most Popular Political Websites | July 2012". eBizMBA – The eBusiness Knowledgebase. Retrieved July 6, 2012. ↑ Flamm, Matthew (April 16, 2012). "Digital media takes home a Pulitzer". 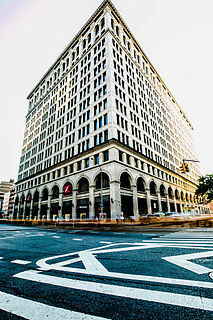 Crain's New York Business . Retrieved April 17, 2012. 1 2 "Should news outlets declare allegiances?". Politico . Retrieved February 9, 2017. ↑ Andra Leurdijk; Mijke Slot; Ottilie Nieuwenhuis (2012). "The Newspaper Publishing Industry" (Technical Report). EU Commission. Retrieved October 6, 2013. ↑ "Direct Access: Arianna Huffington". The Washington Post . December 16, 1998. Retrieved March 4, 2012. ↑ "Arianna Online – September 14, 1998". Arianna online. Archived from the original on February 13, 2012. Retrieved March 4, 2012. 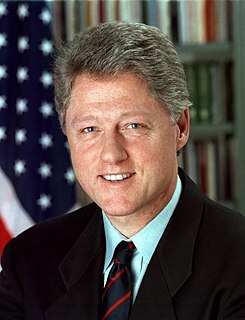 ↑ "Arianna Online – December 24, 1998 – What The Dickens Should Clinton Do?". Arianna online. December 24, 1998. Archived from the original on March 3, 2012. Retrieved March 4, 2012. ↑ "Lydia Polgreen Named Editor-In-Chief Of The Huffington Post". The Huffington Post. December 6, 2016. Retrieved March 25, 2017. ↑ Abbruzzese, Jason. 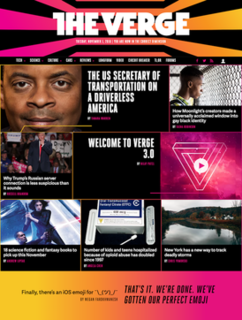 "New look, new name: HuffPost shows off its slick new design". Mashable . Retrieved April 26, 2017. ↑ Shields, Mike (April 25, 2017). "Huffington Post Shrinks Its Name to HuffPost, in a Step Back From Founder". The Wall Street Journal . ISSN 0099-9660 . Retrieved April 26, 2017. ↑ Polgreen, Lydia (April 25, 2017). "Letter From The Editor: HuffPost's New Chapter". The Huffington Post. Retrieved April 26, 2017. ↑ "Chicago News and Opinion". The Huffington Post. Retrieved April 2, 2011. ↑ "New York News and Opinion". The Huffington Post. Retrieved April 2, 2011. ↑ "Denver News and Opinion". The Huffington Post. Retrieved April 2, 2011. ↑ Roberts, Michael (September 15, 2009). "The Debut of Huffington Post Denver". Westword . Retrieved March 20, 2010. ↑ "Los Angeles News and Opinion". The Huffington Post. Retrieved April 2, 2011. ↑ "Go West, Young Internet Newspaper: Introducing HuffPost Los Angeles". The Huffington Post. December 2, 2009. Retrieved March 20, 2010. ↑ "San Francisco News and Opinion". The Huffington Post. Retrieved October 11, 2011. ↑ "Detroit News and Opinion". The Huffington Post. Retrieved November 21, 2011. ↑ "Motoring Into the Motor City: Introducing HuffPost Detroit". The Huffington Post. November 17, 2011. Retrieved November 21, 2011. ↑ "Taking Our Talents to South Florida: Introducing HuffPost Miami". The Huffington Post. November 30, 2011. ↑ "Hawaii News Coverage Expands with Launch of HuffPost Hawaii". The Huffington Post. September 4, 2013. Retrieved September 8, 2013. ↑ "Huffington Post launches Canadian version". The Globe and Mail . Toronto. May 26, 2011. Retrieved May 27, 2011. ↑ "Arianna 'really excited' for Huffington Post UK edition". BBC News. July 6, 2011. ↑ Sciolino, Elaine (January 23, 2012). "Editor Is the Story as the French Huffington Post Starts". The New York Times . New York edition. Retrieved January 22, 2014. ↑ Huffington, Arianna (February 8, 2012). "Nothing Provincial About It: Introducing Le HuffPost Québec". The Huffington Post. Retrieved February 8, 2012. ↑ "¡Bienvenidos a la Familia! Introducing HuffPost Voces" (in Spanish). The Huffington Post. May 1, 2012. ↑ Christian Stöcker (January 29, 2012). "Arianna Huffington "Wir sind optimistisch"". Der Spiegel (in German). ↑ Arianna Huffington (September 25, 2013). "Benvenuti a L'Huffington Post!". The Huffington Post. Retrieved January 23, 2014. ↑ アリアナ・ハフィントンさん ザ・ハフィントン・ポスト編集長（前編） (in Japanese). The Huffington Post Japan. May 6, 2013. Retrieved December 24, 2013. ↑ "North Africa: 'Al Huffington Post Maghreb' Officially Launched in Nation". Tunis Afrique Presse. June 25, 2013. ↑ "Liebe Grüße From Munich: HuffPost Goes to Germany | Arianna Huffington". The Huffington Post. October 10, 2013. Retrieved December 24, 2013. ↑ Arianna Huffington (January 21, 2014). "Covering the World: Introducing The WorldPost". The WorldPost . Retrieved October 6, 2016. ↑ "Versão brasileira do Huffington Post, Brasil Post está no ar". Exame (in Portuguese). January 28, 2014. Retrieved February 1, 2014. ↑ Paul Revoir (August 6, 2014). "Huffington Post to launch Arabic-language edition". The Guardian . Retrieved August 13, 2014. ↑ Lukas I. Alpert (September 17, 2014). "Huffington Post to Launch in Greece". The Wall Street Journal . Retrieved September 24, 2014. ↑ Ariana Huffington (August 18, 2015). "HuffPost Down Under: Introducing HuffPost Australia". The Huffington Post. Retrieved September 9, 2015. ↑ "Next stop for Huffington Post: China". CNBC. May 20, 2015. Retrieved January 10, 2016. ↑ 卧虫 (May 21, 2015). "连奥巴马都觉得尖锐的《赫芬顿邮报》要来中国了，在这里它只登八卦和鸡汤" (in Chinese). 品玩. Retrieved January 10, 2016. ↑ Media24 (November 21, 2016). "HuffPost and Media24 announce launch of HuffPost South Africa". Media24. Retrieved June 27, 2017. ↑ Selk, Avi (April 25, 2017). "Analysis – A HuffPost column calling for disenfranchisement of white men was initially declared hate speech in South Africa by a Press Ombud. The ruling, upon appeal, was overturned and the blog is no longer classified hate speech" – via www.washingtonpost.com. ↑ "Media24 and HuffPost to End Partnership in South Africa" (July 16, 2018). HuffingtonPost.co.za. Retrieved November 2, 2018. ↑ Samios, Zoe (November 30, 2017). "HuffPost: Where Did It Go Wrong?" Mumbrella.com.au. Retrieved November 2, 2018. ↑ ""Huff Post Deutschland" wird eingestellt". Spiegel Online (in German). January 11, 2019. Retrieved February 18, 2019. ↑ "Amy Neumann: Social Good Stars: Causecast CEO Ryan Scott on the Future of Cause Marketing". The Huffington Post. March 28, 2012. Retrieved December 24, 2013. ↑ McGann, Laura (December 20, 2013). "Huffington Post outsources section to online fundraising organization » Nieman Journalism Lab". Nieman Foundation for Journalism . Retrieved December 24, 2013. ↑ Lucia Moses, "HuffPost Takes More Control of Destiny With New Ad Staff Separate From AOL", Adweek , December 12, 2013. ↑ Campbell, Andy (2019-01-25). "The Media Industry Laid Off A Thousand People In January. It May Not Be Over". Huffington Post. Retrieved 2019-01-27. ↑ "How the Huffington Post Works (In Case You Were Wondering)" (May 28, 2013). HuffingtonPost.com. Retrieved November 2, 2018. ↑ Ember, Sydney (January 18, 2018). "HuffPost, Breaking From Its Roots, Ends Unpaid Contributions." NYTimes.com. Retrieved November 2, 2018. ↑ "Craig Taro Gold Huffington Post Profile". The Huffington Post. Retrieved October 19, 2013. ↑ "Jeff Halevy/ Blogger Index". The Huffington Post. Retrieved February 1, 2013. ↑ "Top Posts / Blogger Index". The Huffington Post. Retrieved March 4, 2012. ↑ Reddi, Anand. "Anand Reddi". The Huffington Post. ↑ "Julie Gray". The Huffington Post. Retrieved August 1, 2014. A Hollywood refugee living in the Middle East, Julie Gray has authored two books and is working on a memoir. A former Hollywood story analyst who has taught at Warner Bros., Julie now works with entrepreneurs, writers and innovators worldwide-to shape narrative, edit stories and bridge the gap between art and commerce. ↑ "Duchess of Cambridge guest edits the Huffington Post". ↑ "ASA Partnership with The Huffington Post". ↑ Fineman, Howard. "Off The Bus News and Opinion on The Huffington Post". The Huffington Post. Retrieved September 2, 2009. ↑ "Get Off the Bus". Columbia Journalism Review. Retrieved March 7, 2009. OffTheBus (OTB) was a citizen-powered campaign news site co-sponsored by The Huffington Post and Jay Rosen's NewAssignment, at New York University's Arthur L. Carter Journalism Institute. ↑ "Campaign Donors : Fundrace 2008 – Huffington Post". The Huffington Post. August 28, 2009. Retrieved September 2, 2009. ↑ "The Huffington Post Announces $25 Million In Funding From Oak Investment Partners" (PDF). December 1, 2008. Archived from the original (PDF) on March 18, 2009. ↑ Tony Halpin Moscow Updated 48 minutes ago (January 2, 2012). "The Times | UK News, World News and Opinion". The Times . London. Archived from the original on August 17, 2011. Retrieved March 4, 2012. ↑ "Read Arianna Huffington's plan to 'dominate the industry'". CNNMoney. June 3, 2015. Archived from the original on June 7, 2015. Retrieved October 10, 2017. ↑ Lasarow, Bill (March 5, 2011). "Why our writers are on strike against the Huffington Post – Bill Lasarow". The Guardian . London. ↑ "Don't cross the picket line – boycott the Huffington Post". June 15, 2011. Archived from the original on June 28, 2011. ↑ "National Writers Union, Guild drop Huffington Post boycott". October 21, 2011. Archived from the original on October 29, 2014. ↑ Peters, Jeremy W. (April 12, 2011). "Huffington Post Is Target of Suit on Behalf of Bloggers". The New York Times Mediadecoder blog. Retrieved March 4, 2012. ↑ Jonathan Stempel (September 27, 2012). "Unpaid bloggers' lawsuit versus Huffington Post tossed". Reuters . Retrieved September 27, 2012. ...no expectation of being paid, and said they got what they bargained for when their works were published. ↑ "Breitbart.com has Drudge to thank for its success". CNET News . Retrieved March 4, 2012. ↑ Kurtz, Howard (July 9, 2007). "A Blog That Made it Big". The Washington Post . Retrieved November 25, 2008. ↑ "The Huffington Post". Encyclopædia Britannica Online . Retrieved March 3, 2009. ↑ "Huffington, AOL CEO on Shared Vision for Online Content, Ads | PBS NewsHour | Feb. 7, 2011". PBS. February 7, 2011. Retrieved March 4, 2012. ↑ "W.H. sees political win in Richard Cordray move – Carrie Budoff Brown and Glenn Thrush". Politico . Retrieved March 4, 2012. ↑ Meyer, Robinson (January 31, 2014). "A Brief History of 'What Time Is the Super Bowl?'". The Atlantic. Retrieved September 29, 2018. 1 2 Cain Miller, Claire (February 10, 2011). "Web Words That Lure the Readers". The New York Times. Retrieved September 29, 2018. ↑ Carlson, Nicholas (February 1, 2011). "LEAKED: AOL's Master Plan". Business Insider. Retrieved September 29, 2018. ↑ Manjoo, Farhad (February 8, 2011). "HuffPo's Achilles' Heel". Slate. Retrieved September 29, 2018. ↑ Parikh, Rahul K. (May 15, 2009). "The Huffington Post is crazy about your health". Salon . Retrieved September 2, 2009. ↑ PZ Myers (December 14, 2009). "What do Fox News and the Huffington Post have in common?". ScienceBlogs . Retrieved February 21, 2010. ↑ Steven Novella (January 31, 2011). "Homeopathy Pseudoscience at the Huffpo". New England Skeptical Society . Retrieved February 7, 2011. ↑ Calderone, Michael (December 6, 2016). "Lydia Polgreen Named Editor-In-Chief Of The Huffington Post". The Huffington Post. Retrieved February 23, 2017. ↑ Kludt, Tom (January 13, 2017). "Liberal media outlets mobilize for Trump presidency". CNNMoney . Retrieved February 9, 2017. ↑ Wilson, Bill (August 11, 2016). "Huffington Post founder Arianna Huffington to step down". BBC News . Retrieved February 9, 2017. 1 2 Michael Calderone (2009). "Republicans flock to The Huffington Post – Michael Calderone". Politico . Retrieved March 4, 2012. ↑ Sterling, Christopher H. (2009). Encyclopedia of Journalism. SAGE Publications. p. 32. ISBN 978-0-7619-2957-4. ↑ Taranto, James (April 1, 2011). "Keep Your Day Job, Arianna". The Wall Street Journal . Retrieved March 7, 2018. ↑ Gold, Hadas (November 8, 2016). "The Huffington Post ending editor's note that called Donald Trump 'racist'". Politico . Retrieved March 7, 2018. ↑ "Beyond The Battlefield: From A Decade Of War, An Endless Struggle For The Severely Wounded". The Huffington Post. October 10, 2011. Retrieved April 17, 2012. ↑ "2012 Journalism Pulitzer Winners". The New York Times . April 16, 2012. Retrieved April 17, 2012. ↑ "14th Annual Webby Awards Nominees & Winners". Webby Awards . Retrieved April 2, 2011. ↑ "New York City Hot 125". Lead411.com. Archived from the original on May 11, 2011. Retrieved April 2, 2011. ↑ "14th Annual Webby Nominees & Winners". Webby Awards . Retrieved April 2, 2011. ↑ "The Huffington Post – 25 Best Blogs 2009". Time . February 13, 2009. Retrieved September 2, 2009. ↑ "Bennet Kelley". The Huffington Post. Retrieved March 4, 2012. ↑ Aldred, Jessica (March 9, 2008). "The world's 50 most powerful blogs". The Observer . London. Retrieved September 23, 2008. ↑ Kiri Blakeley (July 14, 2009). "In Pictures: The Most Influential Women In Media – No. 12: Arianna Huffington". Forbes . Retrieved September 2, 2009. ↑ "MediaGuardian 100 2009: 42. Arianna Huffington". The Guardian . London. July 13, 2009. Retrieved September 2, 2009. ↑ "British Muslim Awards 2015 finalists unveiled". Asian Image. January 23, 2015. Retrieved November 1, 2015. "HuffPost collected news and commentary". The Guardian . "HuffPost collected news and commentary". The New York Times .